I remember first eating amla as a small child. My father had got amla ka murabba (gooseberry in a sweet sticky aromatic syrup) from Delhi and he wanted me to eat it. I took one small hesitant bite, made a weird face and declared it unfit to eat. Little was I to know that I was rejecting one of the superfoods. I also remember my mother washing my hair with amla, aritha and shikakai every sunday so I could get thick lustrous hair, and I did have it before thyroid played havoc with the quality. In my school, as I told you earlier in some post, that we had Ayurveda and Nutrition as a subject. We appeared for 100 mark examinations at the end of each year. So it goes without saying while cramming mindlessly for the examination, we still managed to remember quite a few interesting tidbits of information regarding many foods, spices, herbs and condiments. So, according to my Ayurveda teacher (which I confirmed later on with a certified Ayurveda doctor too), there are 6 rasas (tastes or flavours) in foods. They are sweet, sour, salty, pungent, bitter and astringent. Each of these rasas not only provide the food its taste, but is also important for the body and its well being. Most foods have 1-2 rasas in them, for example, lemon has a sour taste while dates are sweet. However, amla is the only food that has 5 tastes present in it. Yes, it has sweet, sour, pungent, bitter and astringent tastes. Bite into one today and try to distinguish each of its tastes. The only taste missing is ‘salty’, and hence we soak these amlas in salt water or make pickle or mukhvas using salt to complete the missing taste. Amla is rich in vitamin C and contains many minerals and vitamins like calcium, phosphorous, iron, carotene and vitamin B complex. It arrests hair fall and baldness, boosts hair growth and enriches hair pigmentation. 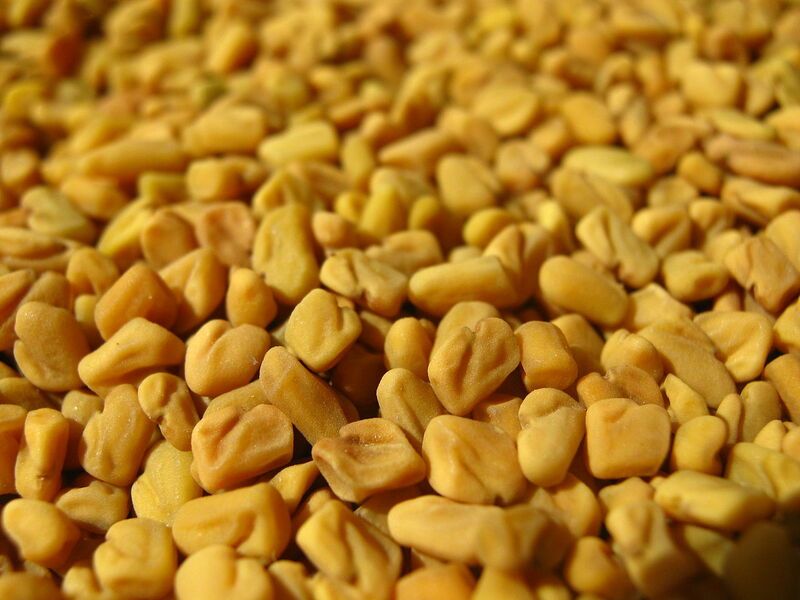 It aids in calcium absorption, which in turn helps in good bones, teeth and nails, and lustrous hair. It treats menstrual cramps. Are you reading this, ladies? It improves appetite and aids digestion. It lowers cholesterol levels and improves heart health. It is known for its anti ageing properties. Most north Indians prefer to make murabbas. In Gujarat and in my house, this is how we prefer eating amlas. 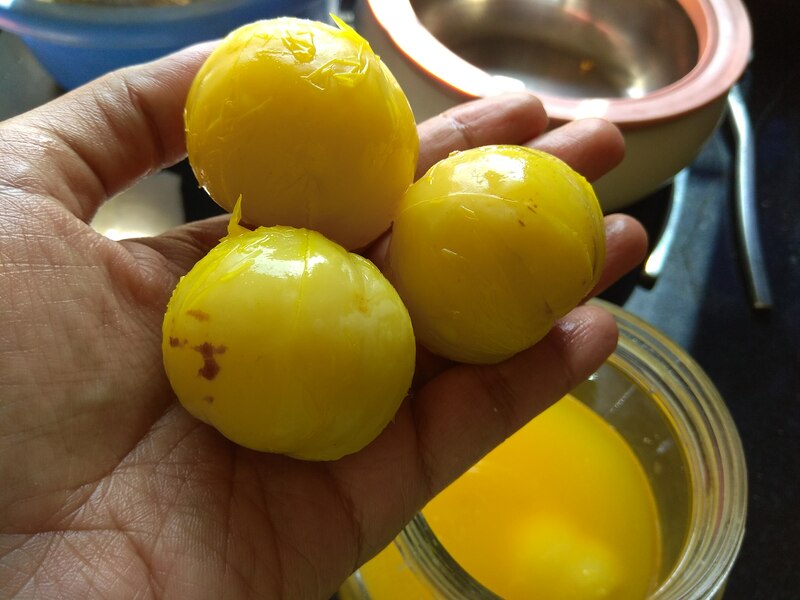 Make deep cuts in amlas, and soak them in a glass jar full of salt and turmeric water. This jar is kept in the sun for 7-8 days. Shake the jar daily and change the water after 3-4 days. After a week, it’s ready to be consumed. Add amla into your fruit or vegetable smoothie. My mother grates amlas or cuts them into thin slices, along with fresh ginger. Now, add sugar, salt and some lemon. Put this out in the sun for a few days. Mix it daily. When the mixture is dry, it is ready to be filled in a jar and consumed. A few days ago, I had eaten a lipsmacking chutney made of amla, fresh coriander and mint. It was by far one of the tastiest chutneys I have ever eaten. It is used in chyavanprash. A jam made of herbs, fruits and spices known to fortify the body during the winter season. You can also make pickles and cook it like a subzi. Whichever way you prefer, just make sure you include this in your diet. You get these fruit in abundance during the winter season. However, you can store it by making pickles, murabbas and mukhvas for the whole year. Omg!!! The minute I read Amla..my mouth was salivating..the only thing I can think about when I see Amla is khatta and juicy ones eaten with salt and chilli powder ?? pardon me …but as I type away at 4 a.m you can imagine my excitement at the thot of eating Amla…? Ha ha, amla with salt and chilli powder…yum…my mouth is watering too. And I have just had my lunch! 🙂 4 am..I was wondering what you were upto so early.. LO woke you up, huh?? You guessed it right…she still wakes up for her dudu routine and m happy cause I get some ME time alone then..